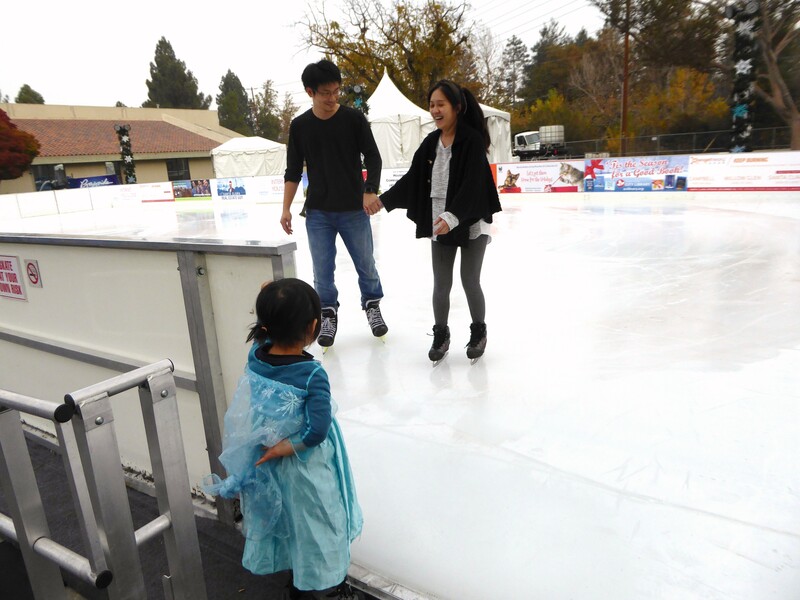 Two-and-a-half-year-old Natalie Kuan was a reluctant first-time skater when Santa Clara Ice at Central Park opened for its fourth season on Nov. 19 at 969 Kiely Blvd., next to the community center. The outdoor rink opened despite the unhealthy air quality (AQI 158) that day. 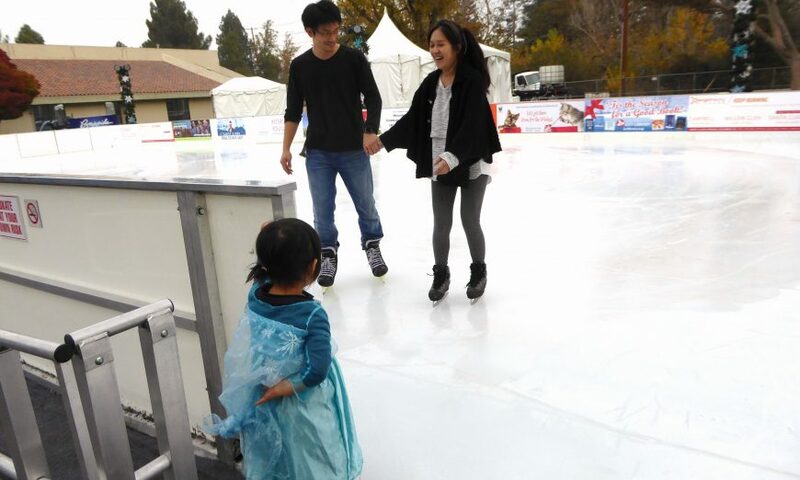 Natalie and her parents, Santa Clara residents Jarvis and Cynthia Kuan, were the first skaters of the season, arriving at soon as skating began at 2 p.m. The Kuans wanted to introduce their daughter to ice skating before it got crowded. Skaters can enjoy their holidays on ice through Jan. 21, 2019. The rink is open every day, including all holidays. Rates, which include skate rental, are $10 for youth and $15 for 13 years old and older. Kids three and under are free, one per paid adult. At the City’s annual Tree Lighting at Central Park on Dec. 7, 2018, from 5 p.m. to 9 p.m., three special one-hour, skating sessions for just $5 are scheduled at 4:30 p.m., 5:45 p.m. and 7:30 p.m.
Visit www.santaclaraonice.com for information on hours, special rates, lessons and private events. Phone information: (408) 663-5278. Santa Clara on Ice is subsidized by the City.